Oyasama went up on the north raised room and Tamizo stood below. With the shout of ‘one, two, three,’ they tightly gripped each other’s hands and began to pull. Tamizo pulled with all his might but Oyasama did not move even an inch. Tamizo marveled at Oyasama’s strength. Tamizo thought, “I am a farmer and I have children. It cannot be possible for me to do such a thing.” Later on, however, because of the illness of his child, he and his family were drawn to the Residence to live. It is said that in his late years, Tamizo was truly amazed by the fact that Oyasama’s words one after another became a reality. “[Based on the] oral account of Tsuru Ueda in Michi no dai1 no. 33. Iso returned to the Residence with increasing frequency, with Tamizo occasionally accompanying her. She regularly served at Oyasama’s side from 1877, and was a constant presence at Oyasama’s Resting House (which was utilized as the Foundress’ Sanctuary until the current one was built in 1931) even after Oyasama “withdrew from physical life.” Iso received the truth of the Sazuke on September 16, 1890.5 She passed away on June 19, 1894, at age 59. Her husband Heiji Ueda had passed away the same year on April 18, at age 64. In 1888, Tamizo Ueda received the Sazuke of the Kanrodai. In 1893, he was both a procurement officer for the Hinomoto Confraternity and placed in charge of a branch mission station (Oda Fukyo-Jimu Toriatsukaisho). 1895 saw the establishment of Asahi Shikyokai (head minister was Zenroku Okamoto) and Tamizo rendered his service as one of the church’s directors (riji). Yet in October that year, leading senseis encouraged him to serve at Tenrikyo Church Headquarters since his parents were doing so and he became a seinen (young staff member) and served the Honseki between 1899 and 1907. He was promoted as a senior official (Honbu-jun’in) in 1901 and became an executive official of Tenrikyo Church Headquarters (Honbu-in) in 1906. Among the many positions Tamizo held were: councilor of the Yotokuin Children’s Home (1910); superintendent of Wakayama Diocese (1915); head of the Chosen Fukyo Kanrisho (Korea Mission Administration Office, 1916); superintendent of Fukuoka Diocese (1919); superintendent of Fukushima and Hokkaido dioceses (February 1925); superintendent of Kagawa Diocese (August 1925 to 1928). He passed away for rebirth on December 31, 1936 at the age of 76. It appears to me that the central religious importance of Anecdotes 61 is that it describes how Oyasama made two predictions that would later come true. The first foretold that Tamizo and his wife Naka would move into the Residence. I presume “the illness of his child” described above referred to the illness of his daughter Naoe, which is mentioned in the Osashizu (Divine Directions) of August 17 and September 27, 1899 (Meiji 32). Osashizu from July 1, 1901 (Meiji 34) makes mention that Tamizo and his family were moving into the Residence and that they were requesting God for instructions regarding the mindset they ought to have living at Church Headquarters. The second prediction was a less personal one for Tamizo. It foretold that people would walk “back and forth beneath the corridor,” and it became a reality with the completion of the South Worship Hall in October 1934. 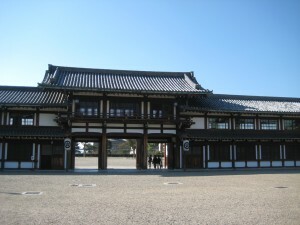 This structure along the Sanctuary corridor that is a passage in and out of the Inner Courtyard of Church Headquarters is likely what Oyasama is said to have envisioned. Tenri Daigaku Oyasato Kenkyūsho, ed. 1997. Kaitei Tenrikyō jiten. Tenri: Tenrikyō Dōyūsha. Tenrikyo Church Headquarters. 1976. Anecdotes of Oyasama, the Foundress of Tenrikyo. 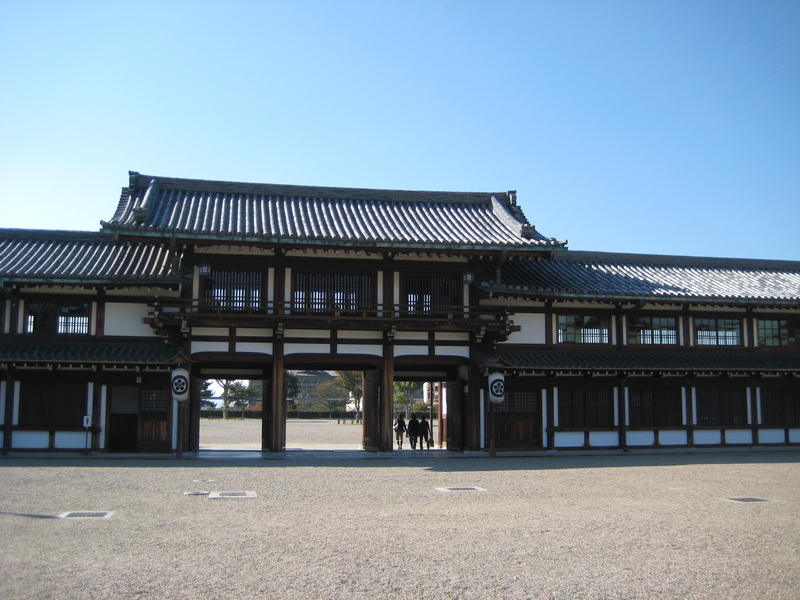 Tenri: Tenrikyo Church Headquarters. Tenrikyo jiten, pp. 65; 69. Iso’s older sister was Sono Yamanaka, the wife Chushichi Yamanaka. The cure of Sono’s long bout with illness led the Yamanakas to embrace the faith (described and discussed in Blogging Anecdotes of Oyasama 11: God Has Drawn You to this Residence.